This is the perfect article for visitors that need a quick and comfortable airport transfer from Heathrow to an accessible and central hotel in London. We have thought of an accommodation that suits all of your needs, even if you are a business man or woman, travelling by yourself or on a relaxing holiday with your family or loved one. 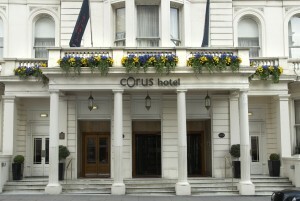 Our suggestion is Corus Hotel Hyde Park. Its four stars facilities, including free Wi-Fi, a variety of rooms, conference venues and restaurants are more than enough reasons for choosing it. In addition to its beautiful Georgian architecture, the vicinity of Corus Hotel Hyde Park to important touristic objectives can only be a plus. You are at a walking distance from the famous Oxford Street, the beautiful Hyde Park and cultural West End area. The nearby public and private means of transport can take to any other district in London. All you have to do is enjoy your stay. In order to get a Heathrow to Corus Hotel Hyde Park Transfer by rail, you have multiple options. The first would be to take the train from Heathrow Terminal 1 (every 15 minutes) and then just enjoy an 11 minute walk. This journey might take about 30 minutes. The second option is to take the Tube from Heathrow Terminals 1-2-3 (every 5 minutes), then the bus from Turnham Green (line 94 every 5 minutes) and finally a 3 minute walk. This journey will take 57 minutes. Another choice would be to take the London Heathrow Bus (every 20 minutes) and then simply enjoy a 13 minute walk. This journey might last about 43 minutes. Another option for you is to take the Tube from Heathrow Terminals 1-2-3 and then walk for about 30 minutes (2.2 km). This journey might take about 1 hour and 10 minutes. The fifth option involves the coach from Heathrow Central Bus Station (every 60 minutes) and a 29 minute walk. This whole journey will last about 1 hour and 17 minutes. The last option means taking the train from Heathrow Terminal 4 and a 13 minute walk. This journey takes 43 minutes. A Heathrow to Corus Hotel Hyde Park Transfer by car can be done by taking the M4 motorway. Heathrow Airport is at a 15.9 miles distance from Corus Hotel Hyde Park. This journey will take about 31 minutes, without including traffic. A Heathrow to Corus Hotel Hyde Park Taxi Transfer with 247 Airport Transfer is going to take about 45 minutes, including rush hour traffic. 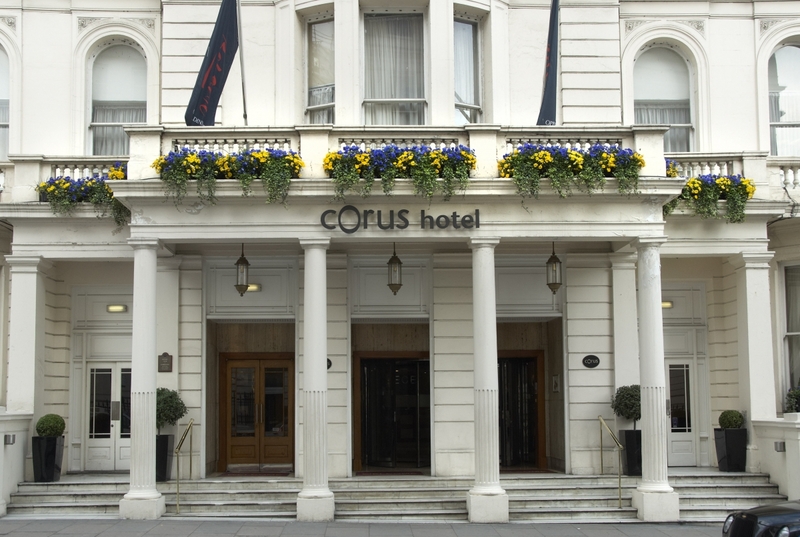 The price for a Heathrow to Corus Hotel Hyde Park Taxi starts from 36 GBP.